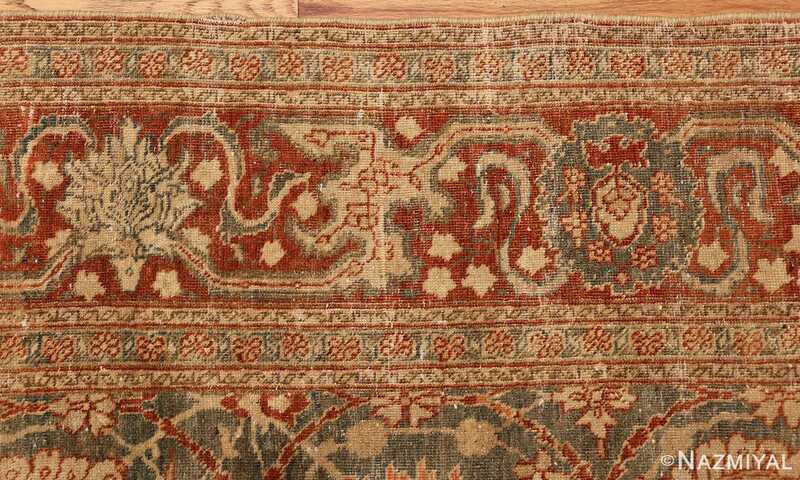 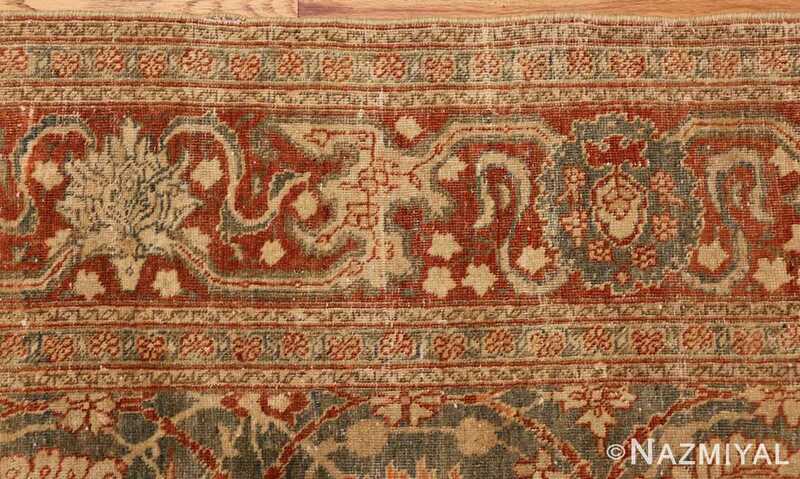 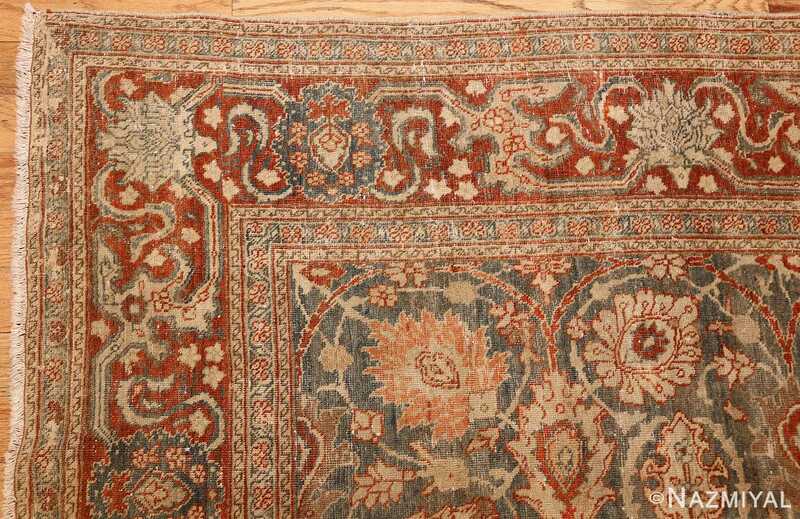 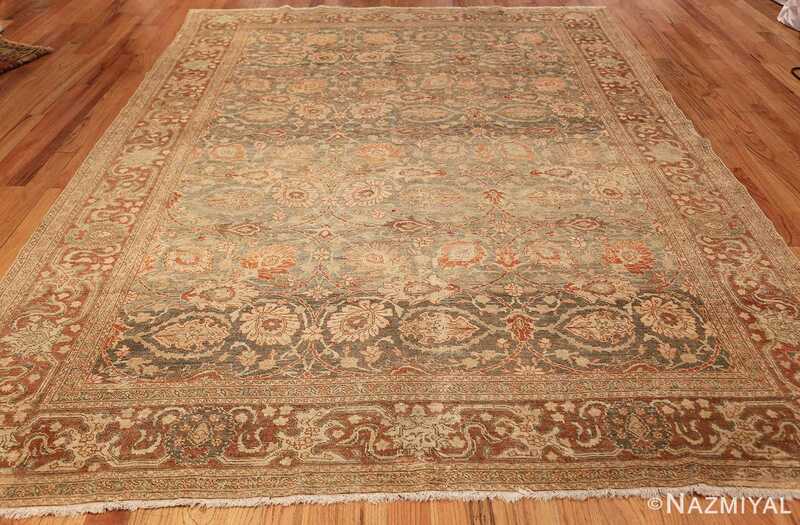 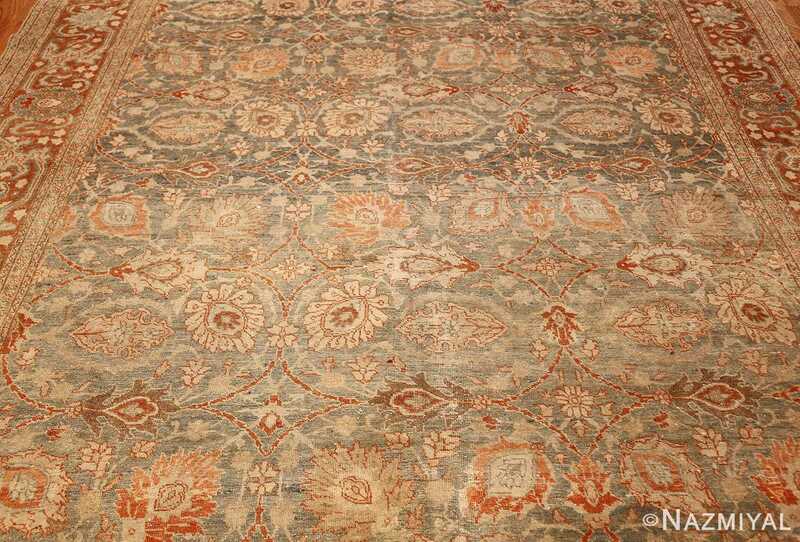 Beautiful Roomsize Antique Tabriz Persian Rug 49354, Country of Origin / Rug Type: Persian Rug, Circa Date: 1910 – Many Tabriz rugs focus on a repeating patterns to convey a certain sense of decorative appeal to the viewer. 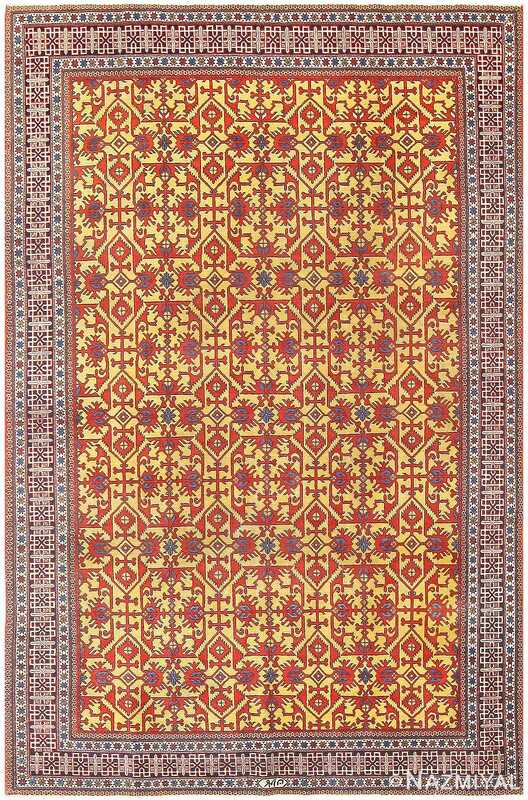 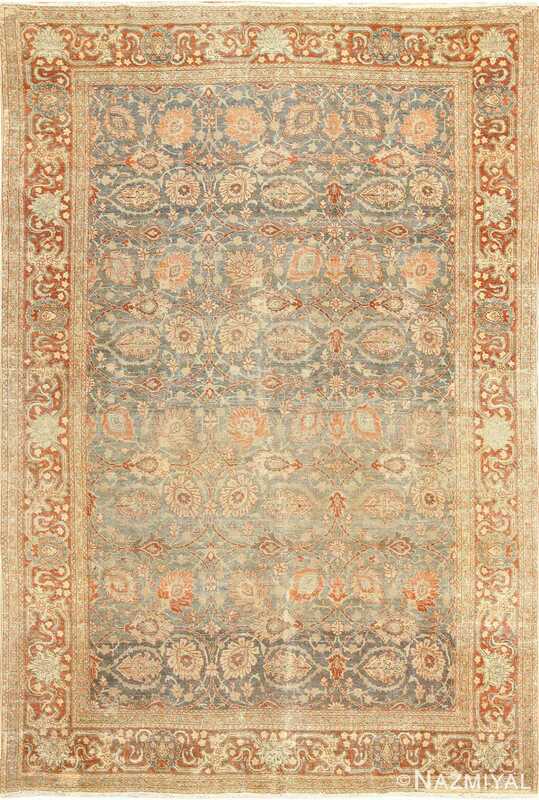 In this truly magnificent antique Persian rug, the large all over design central field establishes such a series of patterns, creating simultaneous familiarity and wonder within the large playing field. 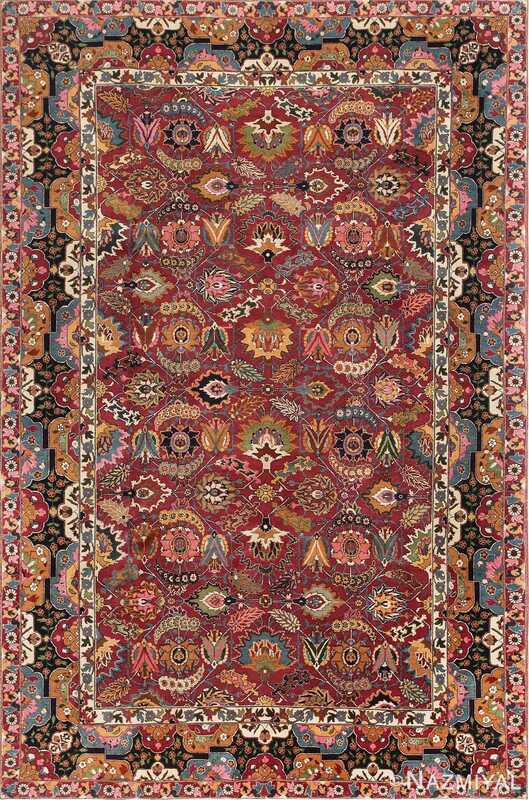 Several intricate borders frame around each other and lead the viewer’s attention to the heart of the room size rug, and many of the elements present within the borders are repeated around the core field. 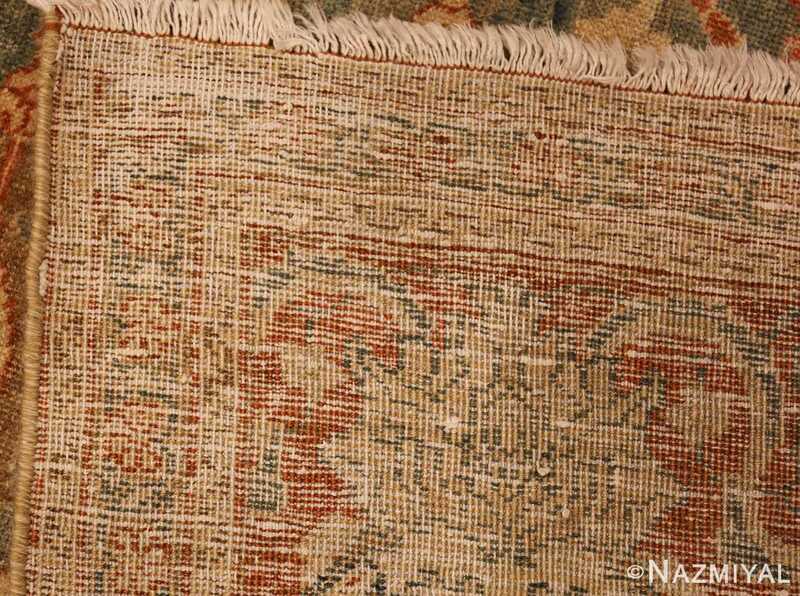 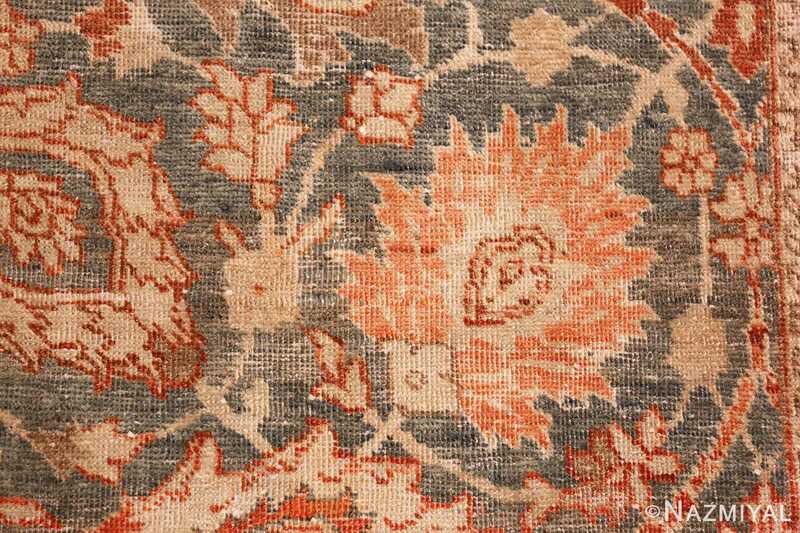 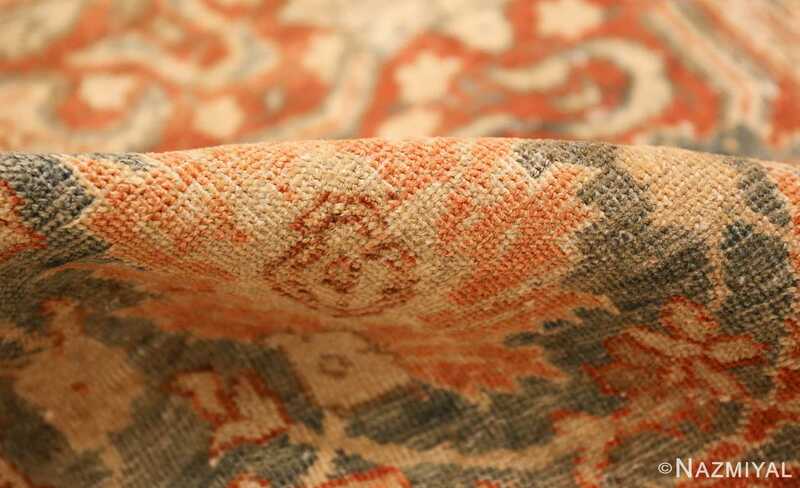 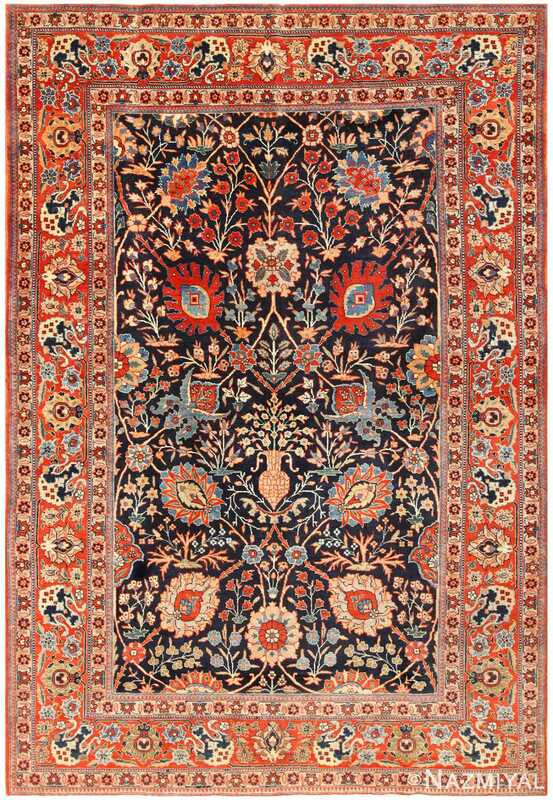 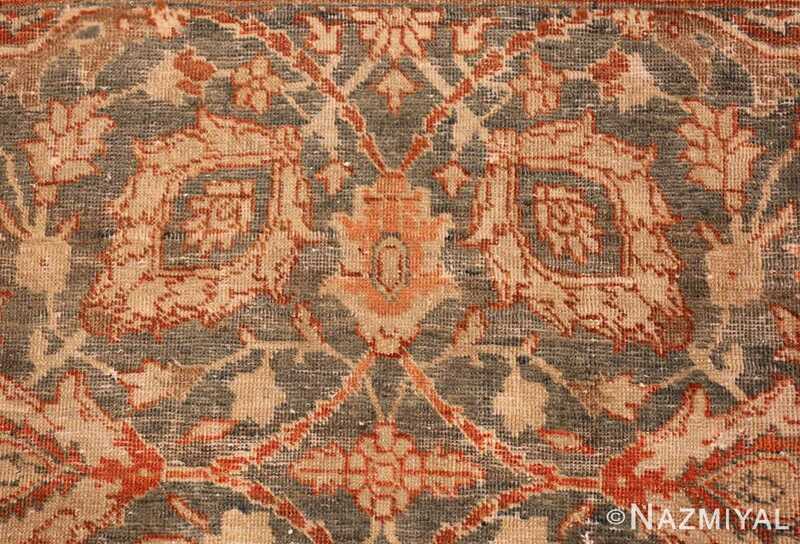 This thematic unity is central to the presentation of the rug itself, resulting in an airy antique Persian Tabriz rug that seems connected, despite the obvious borders and rigid elements grounding the work as a whole.